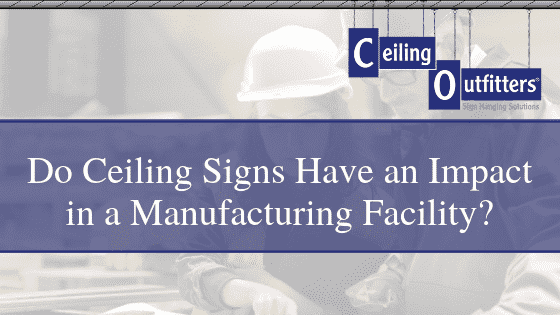 Everyone who owns or manages a business understands the untapped advertising potential of their facility’s ceilings. This severely underused space has the potential to thoroughly engage customers and employees. 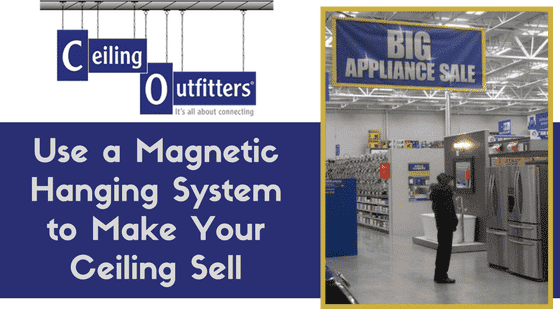 Make use of a magnetic hanging system at your facility and you will find the sales challenge to be that much easier. Take a moment to consider how you currently advertise your products, services, and other offerings. You probably have a few wall signs, floor displays, shelf-edge signs, and window signs. Yet you might have overlooked one of the most important spaces for marketing: your facility’s ceiling. Signs and visual displays hung with a magnetic hanging system allows you to strategically position your message and engage the audience. You can use magnetic hanging systems to display advertisements, information about specials, general ceiling displays, you company’s value proposition, décor or whatever else you deem appropriate for your business. This is the perfect way to raise awareness of price discounts, information pertaining to holiday sales and special events. Consider the mentality of the typical customer when he steps foot in your facility. His awareness is heightened. He is looking all around at the products, advertisements, prices and other information. He is absolutely certain to see the product and price-related information when displayed with a magnetic hanging system. Such information displayed from the ceiling at the product provides prominence to the product. These hanging signs demand attention. This really is the perfect way to draw attention to specific offerings, prices, sales, upcoming offerings and anything else your business likes to highlight. 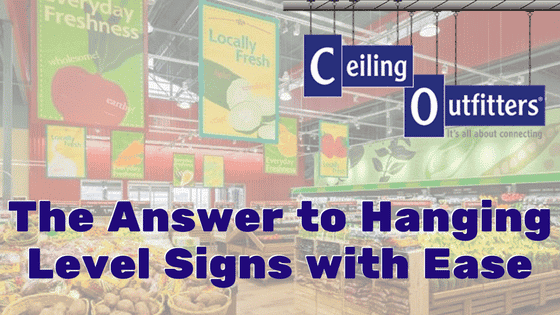 The installation of magnetic hanging systems to display signs from the ceiling is nowhere near as difficult as most assume. The installation process takes minimal time and effort. It is perfectly safe and does not require a degree in engineering or physics! Installation can be performed by brand marketers, sign installation contractors, and retail personnel. You do not need complex and bulky equipment to attach magnetic hanging systems to your ceiling. All you need is the metal of the drop ceiling “T” bars, open-ceiling steel beams, or exposed roof decking. Clik-Clik is the perfect system for hanging signs with magnets. Clik-Clik is ideal for an array of diverse venues ranging from traditional retail and grocery stores to event venues, manufacturing facilities, churches, schools, universities and beyond. Part of the appeal of this system is that it doesn’t require the use of an unwieldy or dangerous ladder and multiple people. There is no need for an employee or anyone else to climb 5 or 10 feet up to position the marketing material. Nor is there any need for scissor lifts with their rental fees. So, don’t worry about OSHA’s strict set of rules pertaining to the use of scissor lifts (PDF). 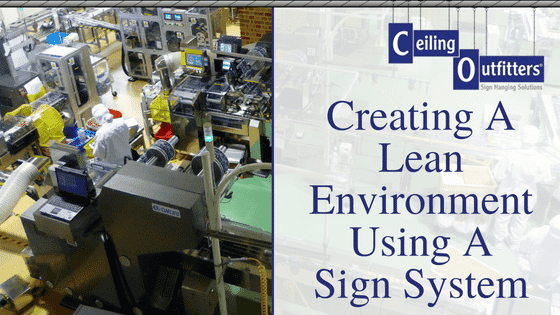 Clik-Clik components work together to make the installation of signs from your own two feet safe, easy and quick. 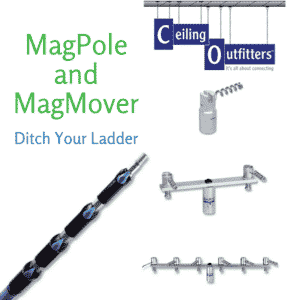 The MagPole is specially designed to function as a durable installation pole for extended professional use. Use it for the easy and safe transportation of a magnet-sign combination to the ceiling. It is also used to retrieve the magnet-sign combination. 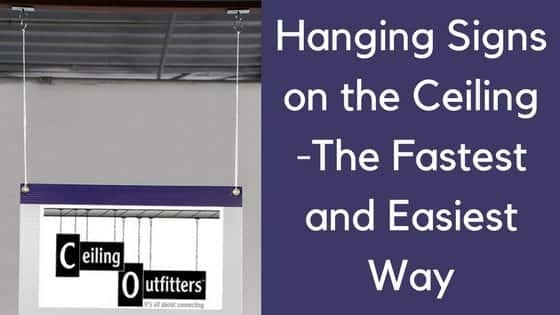 Three unique extension lengths are available, allowing for the hanging of signs on ceilings up to 27 feet high. The MagPole then collapses for easy transportation and is sized just right to fit in the back of the average sized car. The MagMover works in unison with and connects to the upper portion of the MagPole. It transports and retrieves the ClikMagnet with ease. ClikMagnets are small but uber-powerful permanent neodymium magnets that resist demagnetization. They firmly and reliably connect to any metal surface comprised of steel. ClikMagnets are lined with a plastic coating to protect against scratches. Those who try ClikMagnets testify these nifty devices really are the ideal replacement for conventional ceiling clips that tend to be quite difficult to work with. ClikMagnets disconnect from the ceiling with minimal effort. They are available in different pull-strengths: up to 3 lb., 5 lb., 10 lb., and 20 lb. magnetic pulls. The pull strength is governed by the amount of iron/steel in the connection point. This magnetic hanging systems also makes use of LoopLine. This cord is configured with 2-inch repeating loops and connects ClikMagnet to the ceiling display or sign. When each length of LoopLine™ has the same number of loops, the sign will hang level. And, there is no need to connect with a knot. Simply loop the line back through itself to make a sturdy connection to the magnet and the sign. LoopLine is available in several roll lengths and colors including clear which allows for a nearly invisible aesthetic. It provides tensile strength upwards of 25 pounds. This is the ideal replacement for string, barb, steel cable/chains as well as metal and plastic C-hooks.